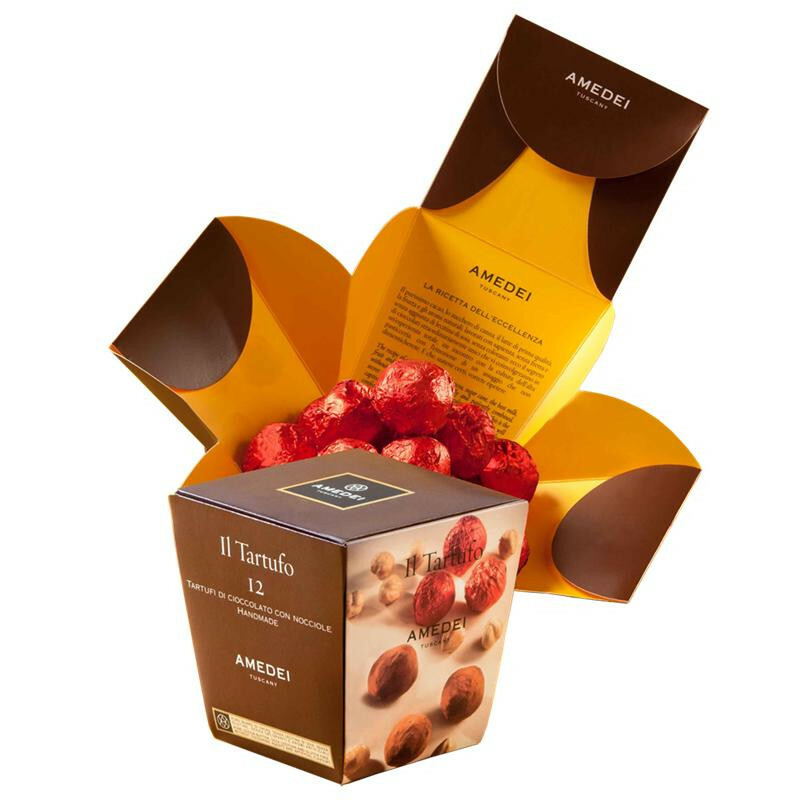 Amedei Chocolate Pralines Tartufi is a box of 12 hazelnut chcolate pralines. This box contains the following pralines: Gianduja truffles rolled in 100% bitter cocoa powder. Ingredients: Hazelnuts Tonda Gentile Trilobata (18%), cane sugar, cocoa powder, cocoa butter, cocoa mass, whole milk powder, almonds, skimmed milk powder, dextrose, vanilla. May contain traces of pistachio, walnut.